Two years ago, I went to Cambodia and learned about the Hindu story of the churning of the sea of milk while exploring the temples of Angkor Wat. I remember being fascinated with this particular story; the gods and the demons worked together to churn the sea of milk to get the amrita using a snake (Vasuki) as a churning rope and this happened in Mount Mandara. 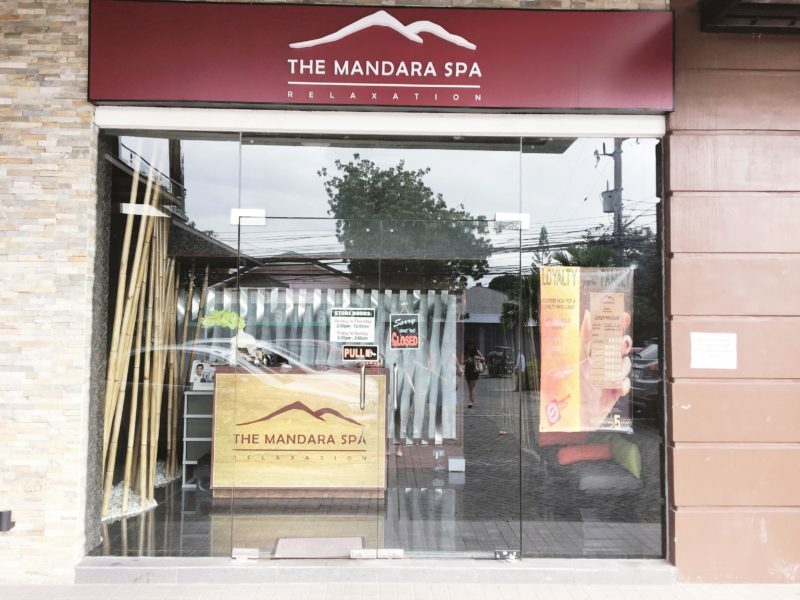 Mandara happened to be the name of the spa that I and my blogger friends went to recently. 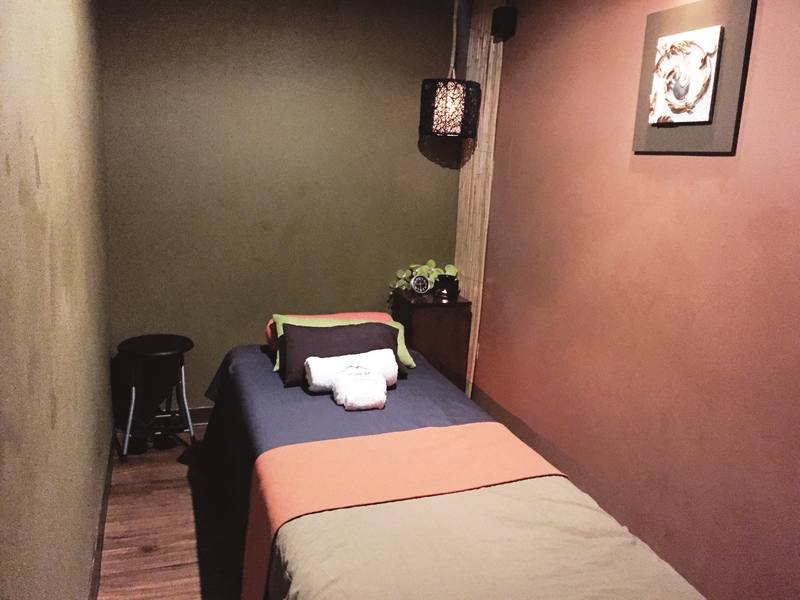 It was an opportune invitation to check out The Mandara Spa at BF Parañaque as I was then suffering from body aches incurred from my recent Taiwan trip. Is my time at this spa as memorable as the story I mentioned? Read on to find out. Parañaque is about 45 minutes to an hour away from Makati (without the heavy traffic). I went with other bloggers, Pancake (TravelHistoryCulture), Lara (Lady from the Mountain in the City), Lou (GoingsoLou), Arrianne (Travel Habeat), and Karla (Karlaroundtheworld). We were given a warm welcome by the staff of The Mandara Spa headed by its lovely owners, Ana Carmela Magdamit and Heart Badilla-Africa. 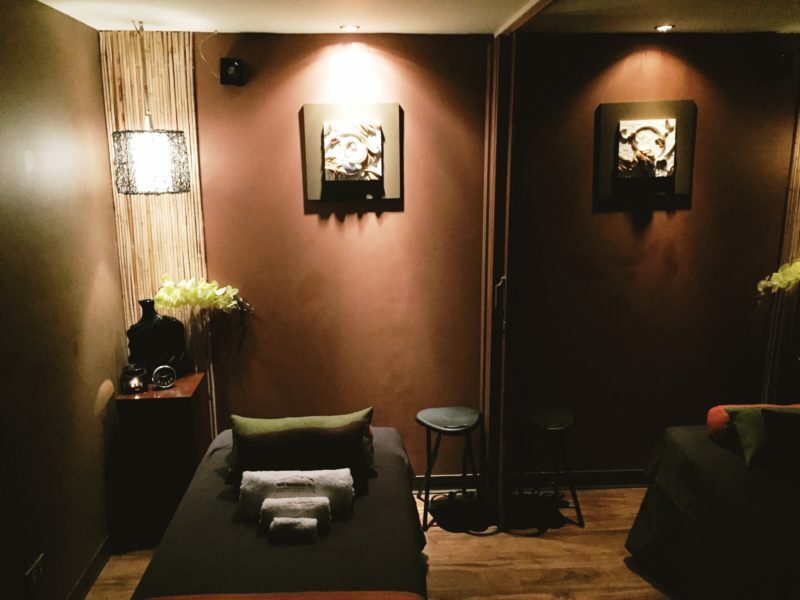 To date there are four The Mandara Spa branches. 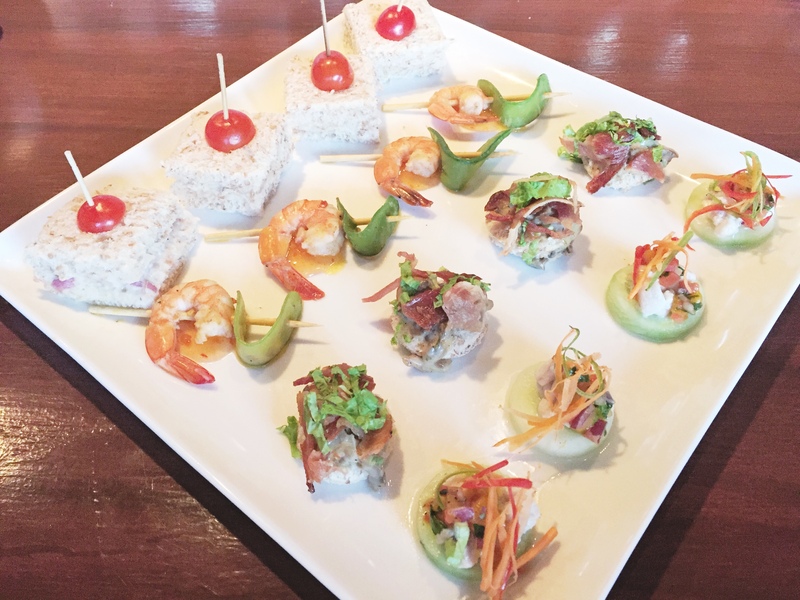 The first one opened in Bonifacio Global City, the second one is in Annapolis Greenhills, the third one can be found at Camaya Coast Resort and Spa in Bataan, and the fourth branch is the one that we visited in BF Homes Parañaque. The color theme for the interiors lean on earth tones; black, dark brown, gold, green, and dark red. Normally, I like light places but I understand that dark tones are preferred in spa to imbibe total relaxation. The place is small and can accommodate 7 people at a time. The essentials include a selection of body scrub and massage oil; I chose to get the one in coffee. Let’s get on to the massage itself. I was led to a room with a single bed. A woman named Verghie attended me. When she entered the room she gave me a warm greeting then handed me a robe and a disposable underwear to change into. When I learned that we would be starting with a body scrub I wasn’t too keen about it. Personally, I like body scrub, only when I do it to myself. This is because when I had my first body scrub experience, the massage therapist proceeded into slathering my body with an oatmeal cream, which she let sit for almost an hour after she scrubbed my body. I couldn’t begin to tell you just how uncomfortable it was for me. It has more to do with my aversion to sticky feeling, which I got from that oatmeal cream. After that experience, I didn’t go for a body scrub in a spa again. Thankfully, Verghie didn’t put any solution on me after scrubbing so this is all good. And the scrub treatment itself was quite relaxing because Verghie rubbed my body with moderate strokes, which by the way is my preference. When it was done I put on the robe then she led me to the bathroom downstairs so I could wash off the scrub from my body. 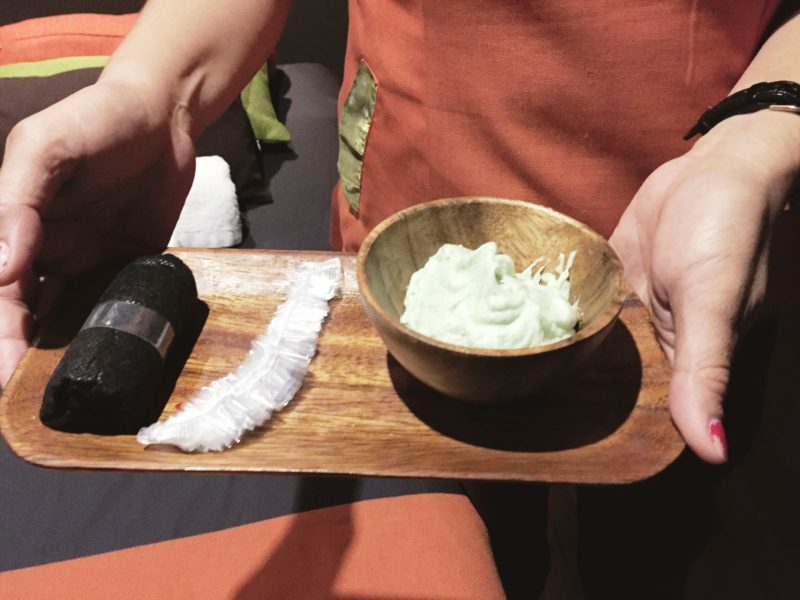 When I went back to my room, the hot stone massage began. This was the first time I’d experienced this kind of treatment so I was quite excited about it. Throughout the therapy, Verghie used warm stones with smooth surface so it glided well on the skin. First, she covered me with a towel then placed the warm stone in strategic spots of my body. Everytime she did so, she asked me if I could handle the heat. I appreciated that she confirmed with me first because there are times when the heat was too much for me. You see, I have a tendency to not speak up even when I’m hurting because I have a strong tolerance for pain. It helped that Verghie asked so I didn’t have to be a martyr, if you know what I mean . Soon, she used the stones to massage on my body and it felt so incredible. It was by far the best massage I have ever had in my life. Her moderate stroke, the warm stones, everything felt so nice. I don’t usually sleep while I’m having a massage but in the latter part, I think I was able to take a little nap. That’s how good it was! In fact, it’s so good I wouldn’t mind taking a trip to Parañaque just to repeat this experience. 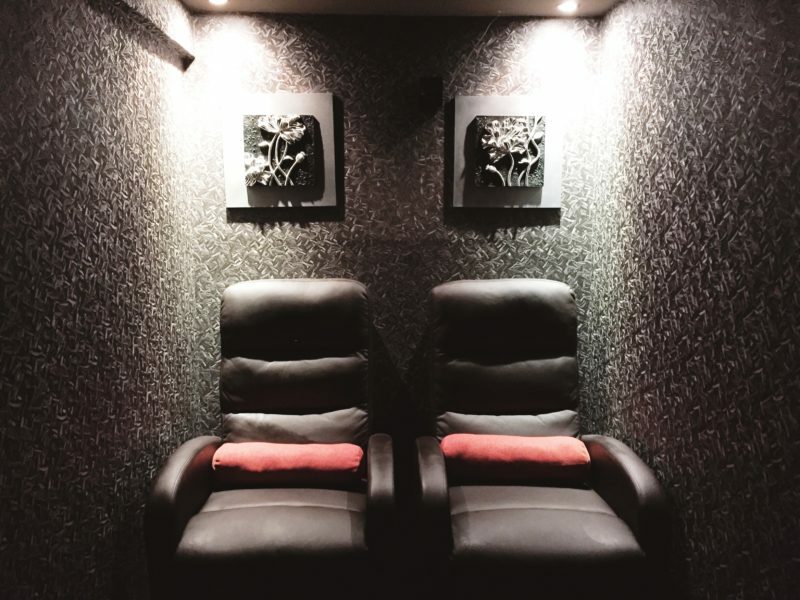 The vibrant smiles on the faces of my friends told me that they too enjoyed their massage treatments. After that we had a little sparty, which is one of the things that The Mandara Spa is offering. 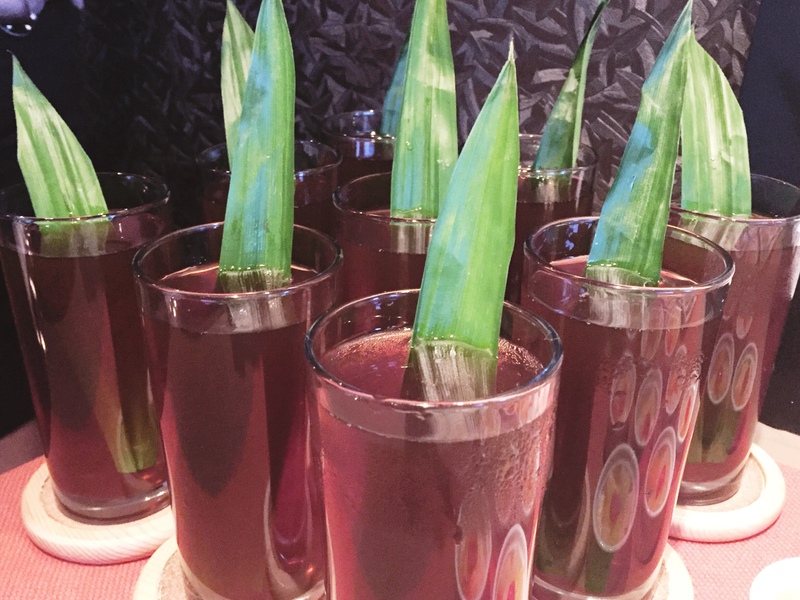 We had a refreshing pandan drink and shared delicous canapes. I couldn’t think of a great way to conclude our spa session than this. Great news! Valentine’s Day is just around the corner and The Mandara Spa Parañaque has prepared a special promo for the lovebirds. 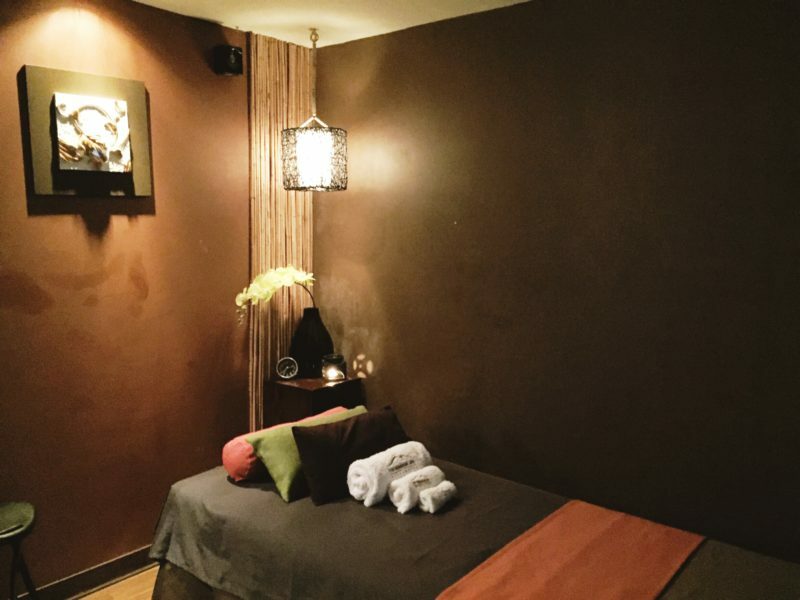 For only PHP 1,950 (USD 39.07) per pax, you and your loved one will be treated to a luxurious chocolate body scrub followed by a warm signature massage. Afterwards, you will enjoy a complimentary glass of red wine and chocolates. This promo started on the 4th of February and will end on the 28th. But if you’re single like me, don’t worry, you can also avail of this Valentine promo. I’d rate the spa 5 out of 5 not only because that’s where I experienced the best massage in my life but more because of the warm and kindness that the staff displayed during our visit. 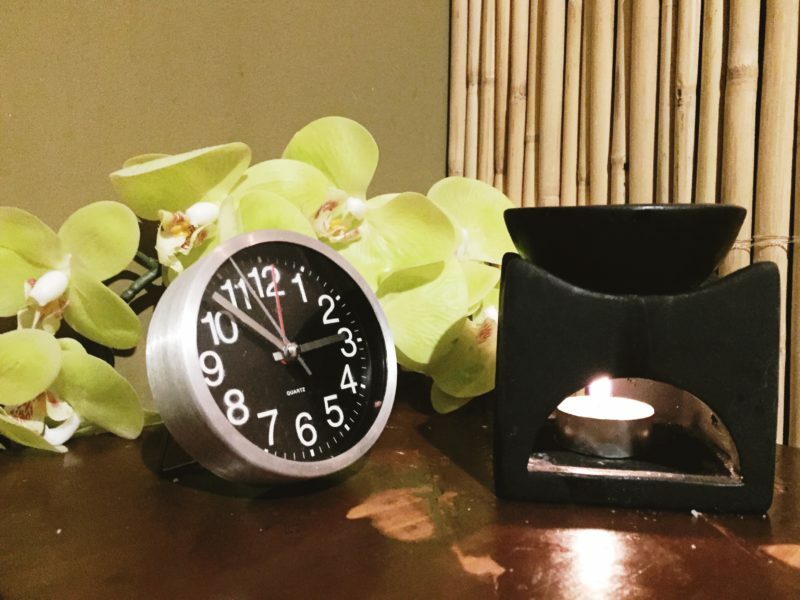 The Mandara Spa Parañaque offered me great relief from all the exhaustion and stress that I’d been suffering and so I want to do what I can to let you guys know that there is a special place like this in Parañaque where you can get the ultimate relaxation. Truly, it’s a gem as memorable as the story of the Churning of the Sea of Milk. 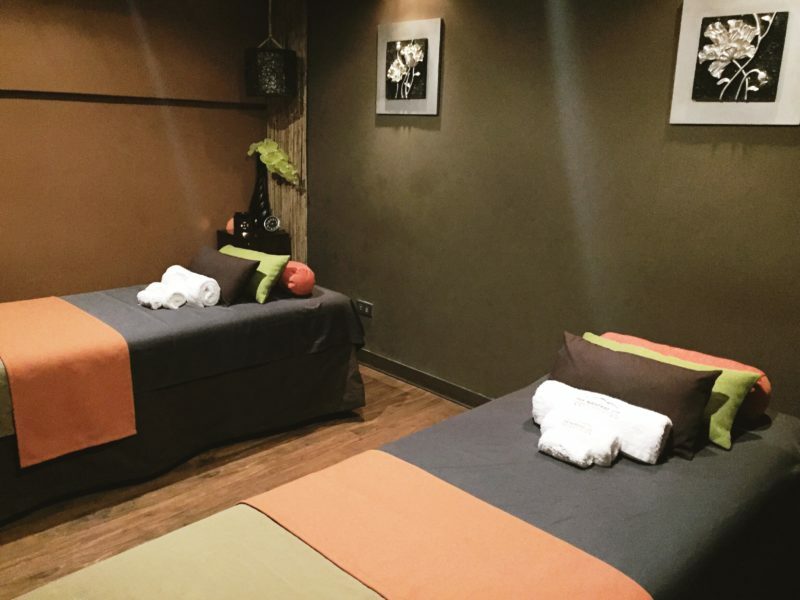 Disclaimer: This spa experience was sponsored by The Mandara Spa. All reviews and opinions are my own. You sure had a great spa. And what’s more the pandan drink and the food look yummy. You must have been super relaxed after the spa and I can only imagine how much you would have enjoyed your treat. Coming to the interiors of the spa, I have got to agree with you. They seem to have used a lot of earth tone colors and it must be soothing in there. I like going to spas also. But lately, since I got kids, I bring the spa home. hahaha I ask for home service most of the time these days. It’s nice to know that you had a good experience at this spa. I might also try it. That’s what I haven’t tried yet Teresa, a home-service spa. I wonder how that feels like. 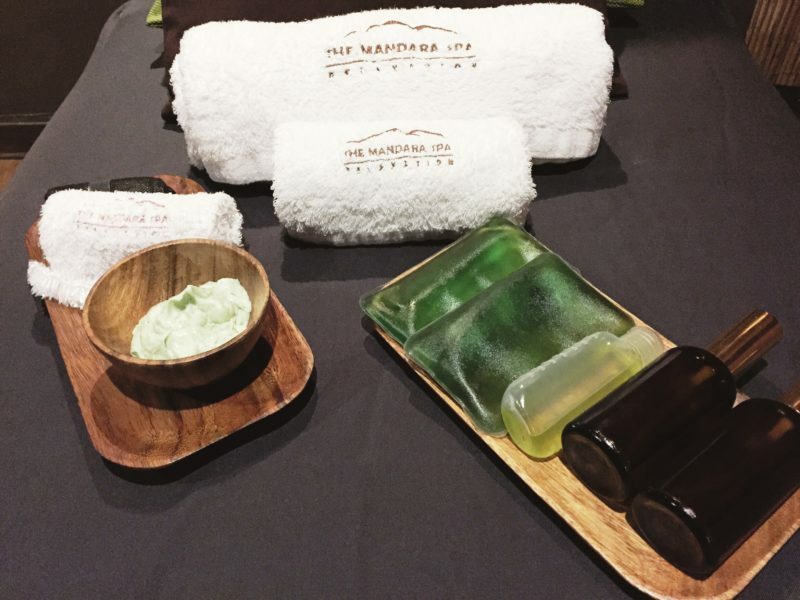 I’ve been hearing about Mandara Spa before but I still haven’t tried it yet. I found the interior to be nice. And I like that they offer disposable underwear. Good thing you’re skin didn’t turn pinkish or red from scrubbing without a solution. I’m glad you enjoyed your massage and sparty. Hoping my partner and I can try the luxurious chocolate body scrub followed by a warm signature massage in the future. Hi Me-An, the scrub itself is not just salt, it has a coffee-flavored cream with it. What I meant to say about the solution is that the attendant didn’t slather me with anything after the scrub that had to stay in my skin for half a hour or so, as in the case of the first body scrub that I experienced. Oh, I would so want to book in there, I think I could spend a whole day in there. 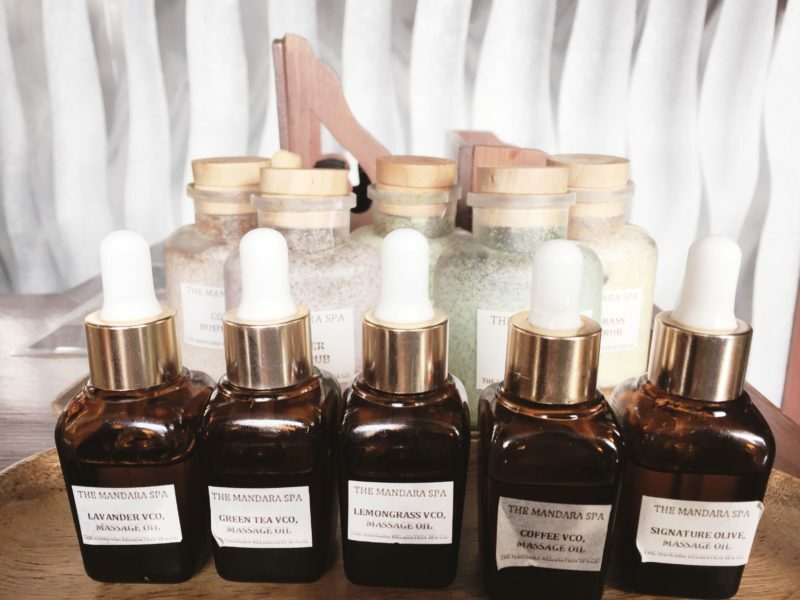 Pampering body, spirit, and soul. The place looks really amazing, so peaceful and clean. We should grant ourselves spa days a lot more often, thanks for inspiring and reminding me of that. I’d take a day at the spa anytime! I like the feel of Mandara Spa. They also seem to provide an excellent service aside from the treatments giving juice and snacks that come with s special package. I like the idea of a chocolate scrub. Wow, a coffee massage oil! 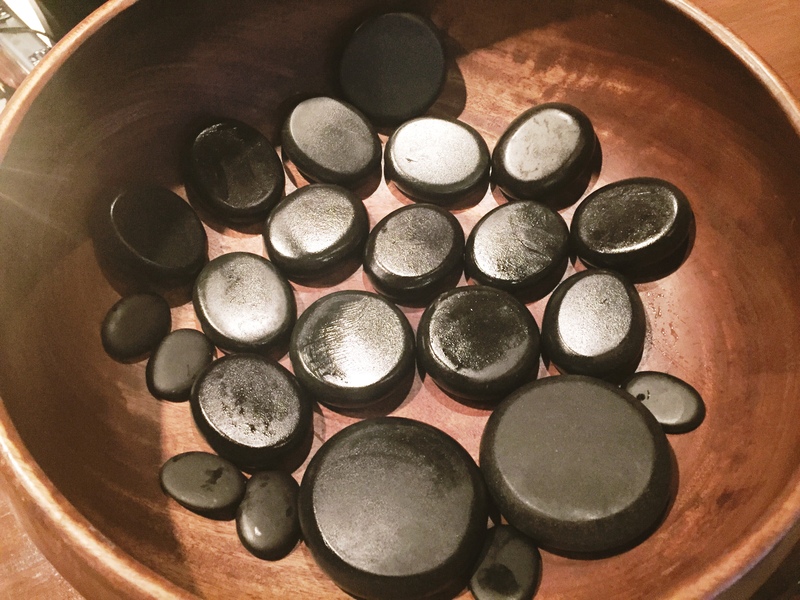 I love hot stone massages and I am glad to read you had an excellent experience. This kind of pampering is something I miss the most living really far far away. 🙂 Love the fact that this is available in BF. I am going to book myself a session when I do visit the fam in Paranaque one day.